HomeWhat is it like to have keratoconus? We get asked this a lot. How do you explain what it is like to have ‘keratoconus’ once people have realised that there is something wrong with your eyes? And how do you answer questions like ‘why don’t you just wear glasses?’ or “why don’t you just have LASIK?’ I wish I had a £1 for every person who’s recommended wearing glasses to me! The thing is that you cannot get angry or funny about it, for unless you HAVE KC yourself, then how can you understand what it is really like? No one can see through your eyes except you, and on the outside most with keratoconus look ‘normal’, we don’t have any really obvious outward signs that anything is wrong with us. So how best to explain? Especially to school or university teachers, work colleagues, and family? The distortion of the cornea (also called irregular astigmatism) results in poor vision and glare. The photos below are optical simulations of a patient with keratoconus and similar conditions. They are taken from http://www.cxlusa.com/about-keratoconus.aspx – The CXLUSA study group is a group of internationally recognized eye surgeon specialists who are dedicated to improving the treatment of patients with keratoconus, post-LASIK ectasia and similar eye problems. The group was formed in 2009 to serve as a resource for helping patients find multicentre clinical trials of cxl corneal collagen crosslinking in the US and international experts for those outside the US. Again this can be hard to explain when we look ok on the outside. Random eye pain, and light or photosensitivity can be difficult to explain or demonstrate, but really you just need to be honest. 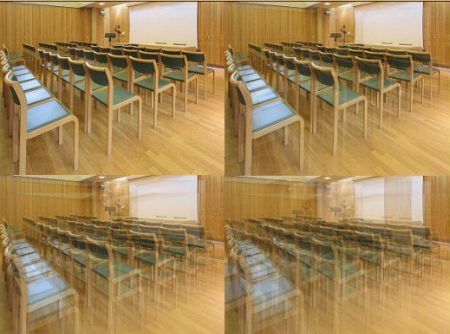 Ask to sit near a window for fresh air, or at the front for a better view or in a darkened room sometimes. Explain why you prefer to have the bulbs from overhead lights removed and so on. Be honest! 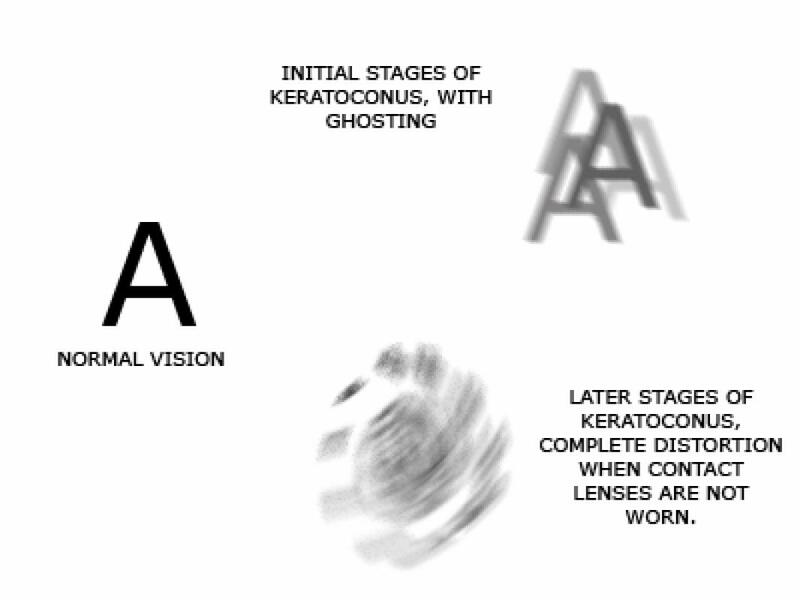 Wearing well fitted contact lenses will alleviate a lot of these issues of course but this is the reality of life through the eyes of someone with keratoconus. But you are not alone and should suffer in silence. The more you talk about having kc and share your experience then the easier it will be for people to help you even if they can never fully understand what it is like. Also, to your readers in the States, the CXLUSA group is running physician-sponsored clinical trials for epi-on CXL (this will not get it approved in the US). Epi-on CXL is not the Dresden protocol, not how CXL is done in the EU, and not what our FDA (Food and Drug Administration) is running trials for to get CXL FDA-approved here–that’s epi-off CXL following the Dresden protocol, which has proven to be at least 98% effective. If you haven’t gotten involved with this group, you’d have absolutely no idea. FDA-sponsored clinical trials for epi-off CXL can be found at http://clinicaltrials.gov/, but we’re hoping it will get approval this year.